Kiran and Yatin Patil are constantly doing sums. Sometimes, it involves figuring out how much the monthly EMIs have reduced their loans; sometimes, it is tallying their distributors and retailers; or just adding up how many cases of wine they sold the previous month. In the early 2000s, the husband and wife team quit their jobs in corporate finance and marketing in lieu of the wine business because they smelt potential. “When we started, we saw a gap in quality," says 33-year-old Yatin, director of Vintage Wines Pvt. Ltd. “There was nothing in between imported wines and locally produced varieties, and it was a monopolistic market." They are people such as the Patils. 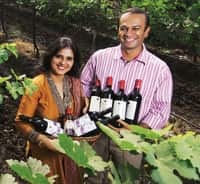 In 2002, the Patils started out on 200 acres of family-owned property in Niphad, 40km outside Nashik, Maharashtra’s hotbed of wine production. They had their first crush in 2005 and then, last April, their company launched its first products under Reveilo, a premium segment brand. And despite getting into the business with no previous experience, the Patils fought through the distribution and retail “mafia" and now sell close to 300 cases a month; most five-star hotels stock their products. The couple plans to travel out of Maharashtra and Bangalore to launch in Kolkata and New Delhi. It is a slam-dunk for part one of their plan. Shailendra Pai is yet to get to first base. The 55-year-old Mumbaikar has already been down the path of wine production once before. He was one of the founders of Renaissance Wines, a Nashik-based three-year-old company that produces one lakh litres of wine annually. But since branching out on his own last year, Pai has bought 7.5 acres in Kavnai in Nashik district to set up Vallonne Vineyards Pvt. Ltd. So far, he has planted wine varieties and is scheduled to start the construction of his own plant early next year. In the meantime, he has contracted external farmers to supply wine varieties that will be bottled and sold under the Vallonne brand name. His own home produce will, he hopes, hit the market in 2009. He started his career in the wine business in 1986 with Champagne India Ltd., the former avatar of Chateau Indage, as marketing manager. Pai admits he got into the business fascinated by the fast cars and fine wine life of Shamrao Chougule, chairman of Chateau Indage and the big daddy of Indian wines. “At that time, there was no wine market in India. There was licence raj, and the government imposed a rule that 100% of production had to (be) exported. You had to admire Chougule for his guts," says Pai. With 20 years of experience in the field, Pai is better suited than most to be in a business that is still largely ruled by the trifecta of Chateau Indage, Grover Vineyards and Sula Vineyards. But even when you are backed by the example of an old success, getting the money together for a new experiment, especially for an off-the-block venture such as wine, can be difficult. “I make my money elsewhere, and put whatever I make into wine," says Pai. 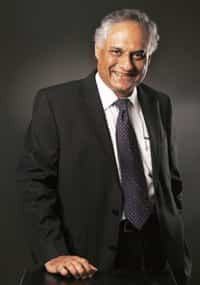 In addition to the funds that come from his Goa-based property development business, Pai also has an investment partner and loans from the bank. In all, Pai has raised about Rs4.5 crore to set up his unit. “You need a lot of working capital," says Pai. “You pay for the grapes upfront, but then you have to wait for months before the wine can be sold." The Patils estimate that, through the years, the amount they’ve borrowed from the Bank of Baroda (Rs3.5 crore) has almost equalled the amount of equity in the company, even though they initially began on a 60:40 equation. And it’s a constant struggle. “It was difficult to convince the banks," says 33-year-old Kiran. “Initially, after Yatin quit his job, I kept mine to keep the home fires burning," says Kiran, who also had their first child around the time they went into business. 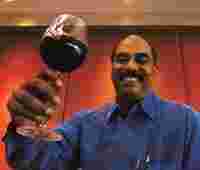 Dhuru, who tested the market by first importing wines, says, “It’s impossible to make a great cheap wine. Once the plans for the 430-acre farm in Dindori (on the road to Surat, Gujarat) were finalized, Dhuru secured close to $3.5 million (about Rs13 crore at present rates) from the State Bank of India in loans and, moreover, had the backing of his family-run business. When he first decided he was going to get into the business, Dhuru took key members of his team (his nephew, Kailash Dhuru, is the assistant winemaker; uncle Deepak Thakoor is deputy managing director of d’Ori Winery Pvt. Ltd.) and parked himself in Bordeaux for a month to learn the basics. The aftermath of that stay was a collaboration with Athanase Fakorellis, an award-winning oenologist and protégé of Michel Rolland, the winemaker behind Grover’s products. Now, Fakorellis flies to India five times a year to survey the work at Dhuru’s vineyard. “Mr Dhuru came with some suitcases to learn about winemaking," remembers Fakorellis. “I had never heard of Indian wine before I met him. But it can be done here, the challenge is to make new customers by introducing them to good new wines," he says. The result of the partnership is a recently launched product under the brand name Chateau d’Ori. Collaboration with foreign winemakers is also a matter of differentiating one product from the other. The Patils, for instance, are the first winery to plant Italian varietals in India; their technological consultants are Enofly, from Verona. “We have planted Cataratto Grillo and two other Italian varieties," says Yatin. “There are more than a thousand varieties in the world, so there are more options than just French wines." With the UB Group and Diageo India now in the fray, competition is getting uncomfortably hot. While no one expects to break even in the first year of business, the question is how well the smaller players will be able to negotiate distribution channels and middlemen. The Patils are confident they’re closer to a smooth ride. “Worst-case scenario, we’ll have to sell our grapes in bulk. But this is a fragmented industry where consolidation is very difficult. That’s the beauty of it; there’s place for everyone," says Yatin.